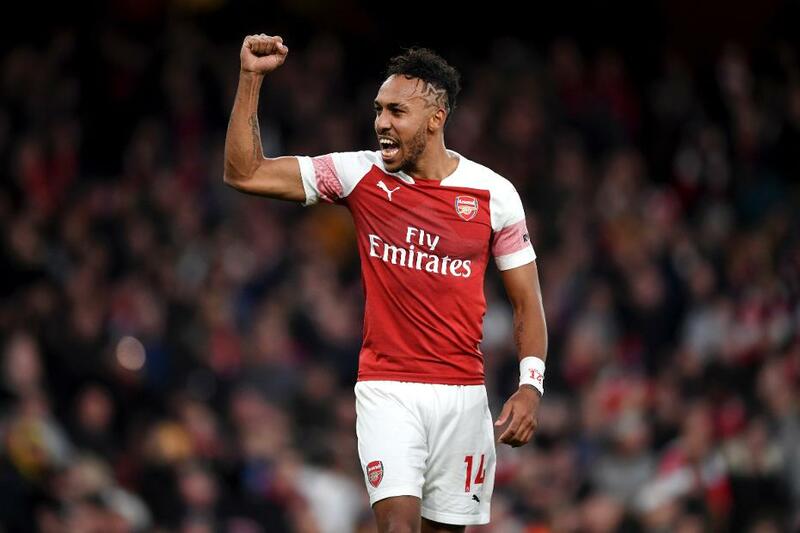 Pierre-Emerick Aubameyang (£11.2m) can reward his ever-growing legion of Fantasy Premier League owners as the outstanding captain candidate for Gameweek 16. The Arsenal striker welcomes Huddersfield Town to Emirates Stadium in outstanding form, having scored eight goals and two assists in the last eight Gameweeks. That has made Aubameyang the most-bought player for the second successive Gameweek. After more than 525,000 managers signed him for his midweek trip to Manchester United, another 230,000 have drafted him ahead of the 8 December, 12:30 GMT deadline. His fellow forward Alexandre Lacazette (£9.6m) can also profit against the Terriers. The Frenchman is expected to start after featuring as a substitute in the last two Gameweeks. He has scored or assisted in nine of his 14 appearances. Harry Kane (£12.5m) can rival the Gunners pair for his trip to Leicester City. Kane has found the net in four of the last five Gameweeks and has an eye-catching record against the Foxes, scoring seven goals in their last three Premier League meetings. Another candidate is Mohamed Salah (£13.0m), whose away record suggests he will pose AFC Bournemouth major problems at Vitality Stadium. The Egyptian is set to return to the Liverpool starting XI after earning minutes off the bench in midweek. Away from home, Salah’s totals of 28 shots and 12 shots on target both rank second among all players. Everton duo Richarlison (£7.1m) and Gylfi Sigurdsson (£7.5m) offer further midfield options. Both have recorded two sets of double-figure returns at Goodison Park and host a Watford defence with just one clean sheet in seven road trips. Ben Crabtree (@FC_CrabDogg): I may leave it on Kane but the Lacazette fixture looks great, too. I think he'll start but would like confirmation before considering him. Sead Kolasinac (£4.9m) is even a little tempting. Holly Shand (@FFCommunity_): I'm choosing between Kane and Salah. It’s very difficult to split this pair on away form and opposition defensive quality, although Salah might just edge it after his limited minutes in midweek. Aubameyang looks the go-to option if you have him but, after a string of starts, is it his turn on the bench? Ash (@FPLHints): Rotation could still be an issue this weekend but I can't look beyond Aubameyang as the must-have captain pick, especially with him being the current league top scorer. Sam Bonfield (@FPLFamily): I'm very tempted to leave the armband on Kane this weekend, although Leicester haven't shipped many goals lately. Salah is another big option, as is Felipe Anderson (£7.2m), who has a nice fixture at home to Crystal Palace. He'll be increasingly important for West Ham United now that Marko Arnautovic (£7.1m) is out injured.